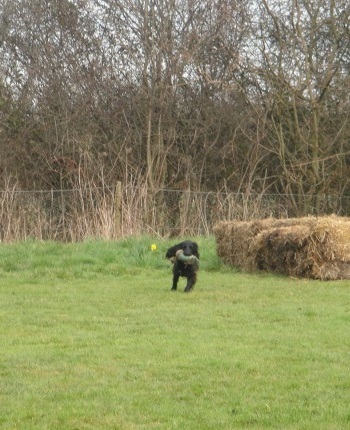 This Saturday was Dulcia’s, my own Cocker Spaniel, third go at ‘beating’. (This is flushing out the pheasants so they can be shot.) Now on the third time for some confident dogs they in fact, can become too confident! At times I had to hold her back when there were too many birds being pushed up. Her reward for being patient was to check at the end if any pheasants were hiding deep in the brambles. 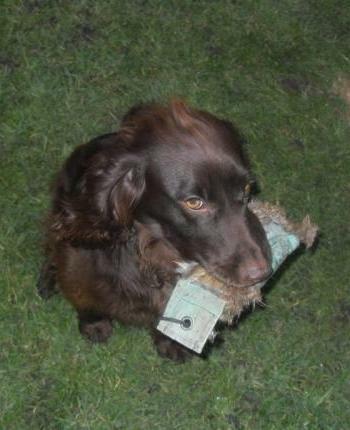 It is a lot of hard work for a young dog, and I give careful consideration to her diet over the working season. The last two weeks in classes have been extremely busy raising money for Children In Need. Every other year Ourway Dog Training raises money for this charity. 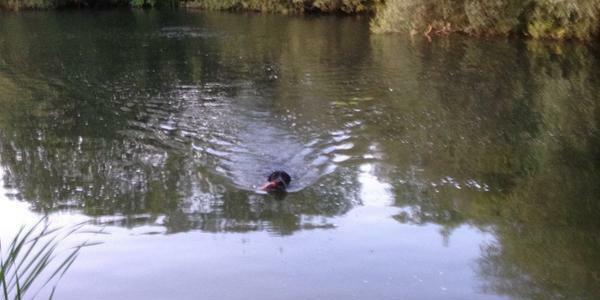 This year we decided that we would teach our dogs to ‘spin’ for thirty seconds a meter away from us. 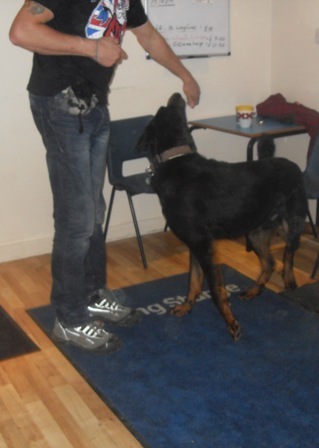 Dogs absolutely love this trick and quite quickly understand the cues. So far we have raised over two hundred pounds with more money yet to be handed in. Even Duke was successful as you can see from the picture. He is progressing really well at ‘picking up’ the pheasants this season which is his first.